Don't have time for a full game? 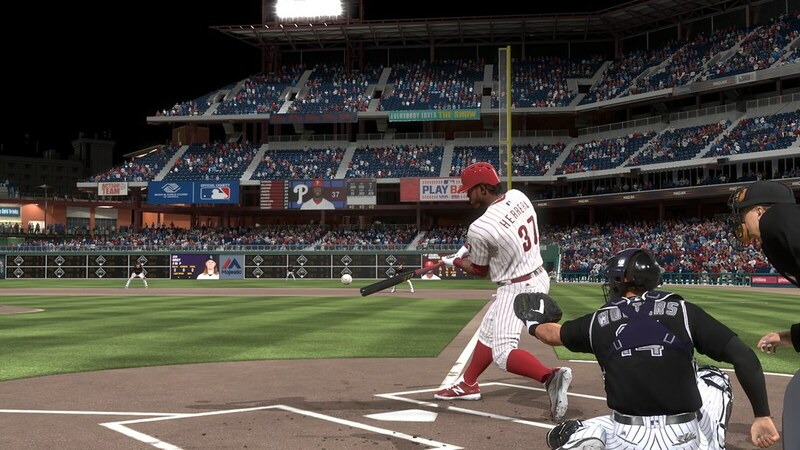 Franchise mode lets you play games that run from around 5 to 45 minutes. Hey everybody, Matt Schaeffer here. Designer on MLB the Show. For those of you not familiar with Franchise mode in the Show 18, here is a quick rundown of everything you’re missing out on. 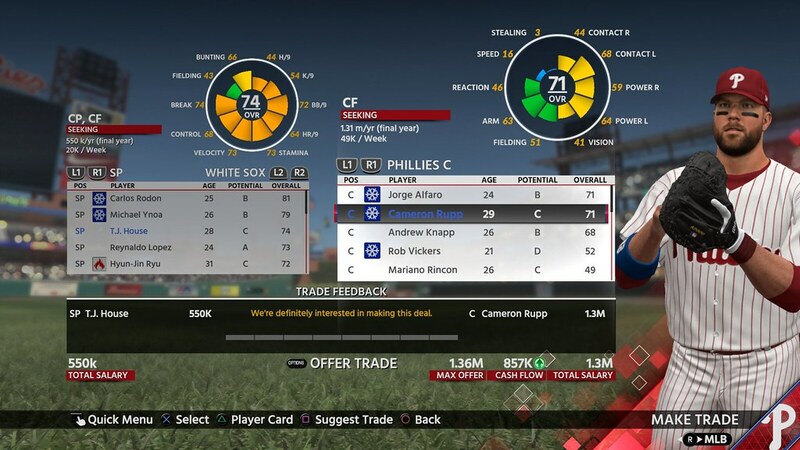 Franchise mode begins with taking control of a MLB organization with the intent of building and managing a brand new dynasty for the baseball history books. This mode gives you the ability to manage your team as much as you desire, including setting your lineups/rotations, drafting future talent, managing staff, and other general manager tasks. 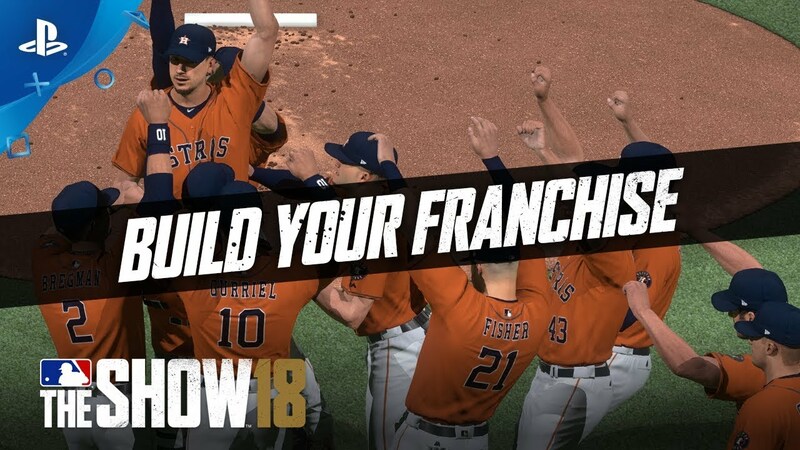 Now that you are familiar with what franchise mode has to offer, join us for a more in depth look at all things Franchise on our Twitch stream at 2PM PT today. Don’t miss out on First Pitch weekend, starting on March 23 and giving early access (up to 4 days) to those who pre-order from participating retailer. You can also stay up to date on all things MLB The Show 18 by following us on Facebook, Twitter and Instagram. Nothing. New other than adding the ability to play retro mode as a part of Franchise…and not that many people even enjoyed retro mode past 10 minutes and never touched it again. The addition of Retro Mode to Franchise is really neat. While I buy this game for the heavy sim aspects, I would most definitely play some games in Franchise mode using Retro to change it up a bit! They have had online franchise for the last 3 years at least. This article was what is new to franchise man. Looks like trades are essentially the same. Extremely limited in regards to the amount of players you can involve in it and only 2 teams. Would be nice to model after 2k in the way you can set your organization’s philosophy. Maybe you can be more about analytics, more about player development, more about pitching, more about hitting, etc. Just add something to spice things up. It’s such a dry game mode after you play it once or twice. Also, I hope they fix the player development. Nothing worse than getting a top 5 pick out of college at age 21 or 22 and then you have to wait 8 years for them to reach their potential when guys like Machado, Harper, Trout and Judge are putting up numbers and are 90+ overalls before the age of 25. They really didn’t add anything new according to this which is sad. And you still can’t include money in a trade, which is dumb. They obviously didn’t try very hard on this. So, absolutely nothing has changed, then? Why do we even bother buying a new game? Anyone know what the AAA situation is like? I haven’t bought a baseball sim in a long, long time. The RPGish mode has me excited for this. I want to know if all of the AAA teams are up to date on logos. Do AAA teams get their home stadiums or are they all just generic? Super excited since I have never bought the game before. Any help is appreciated in advance! Last I heard the stadiums are generic. But I did see the Braves new AAA team is in so I am sure the rest are legit as well. The teams are legit, the stadiums are fake. They did fully render them in 3D this year though. One nice touch tho, in MLB 17 my RTTS character is on the Midland Rockhounds, they use the Texas League logo for screen splashes and cutaways. Here’s just a short sampling of issues that were obviously not touched (and best I can tell, were not even considered for improvement): your minor league single A team still doesn’t play games (they actually do in real life); nothing was done to fix the playoff eligibility rules problem (MLB changed the rules 3 full seasons ago; The Show still hasn’t caught up); trade logic was “fixed” to keep the CPU from trading guys not under contract (which you can actually do during their arbitration seasons, see Marcell Ozuna), but probably didn’t fix it to keep the Royals from trading Eric Hosmer to the Indians for Cory Kluber (actually happened in my franchise); still has a couple hundred pitcher wind-ups but generates all new players with the same 6; still, after umpteen seasons, cannot figure out how to keep a guy on the A’s from having a blue glove; and still can’t figure out, even though EA Sports could when they only had enough data for PS2, how to keep track of player’s stats from the minors (minor league season just ended, all stats wiped like they didn’t happen). Preach on..are the rights of MLB owned by a specific company like Madden and EA? So, someone tell me is it online franshise or not? Because if not you guys (the show) literally just lost a loyal customer! Smh, bs if you guys took it out. No online franchise this year unfortunately. Whats the use of buying the gaming if its the same game from last year. I am so done with sports game. That’s really awesome and really wonderful. I kind of really wish there was an expansion mode when playing franchise mode. 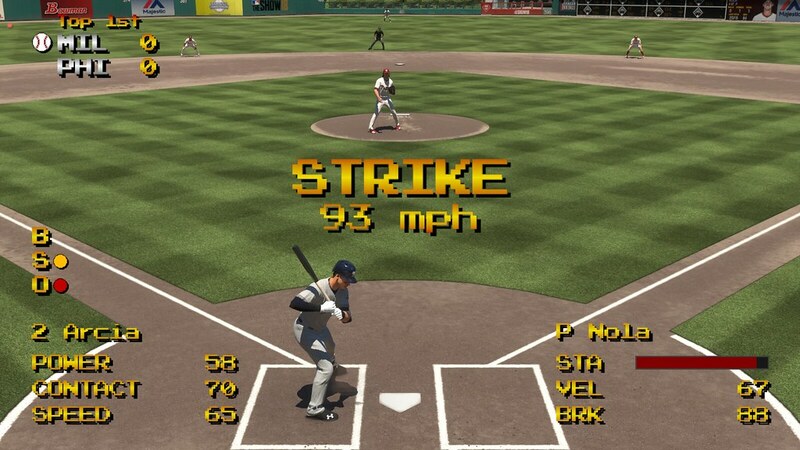 I remember playing MLB the show 17 and I got to the year 2288 or something crazy. And almost every team in the MLB won a world series. And I think there should be like expansion/relocation mode in the next game. And I would love to see some new cities join the MLB and get a team. So yeah maybe in the next game or so, I would love see a expansion/relocation feature in franchise mode in MLB the show. Cause I think that could make the game really good. I love the show but I have to admit, it is getting a bit stale. I would love to see a deep franchise with more features and fixes. For one thing, only being allowed to trade three players at a time and no money or player to be named later. If you want to “fix” trade logic these should be included. 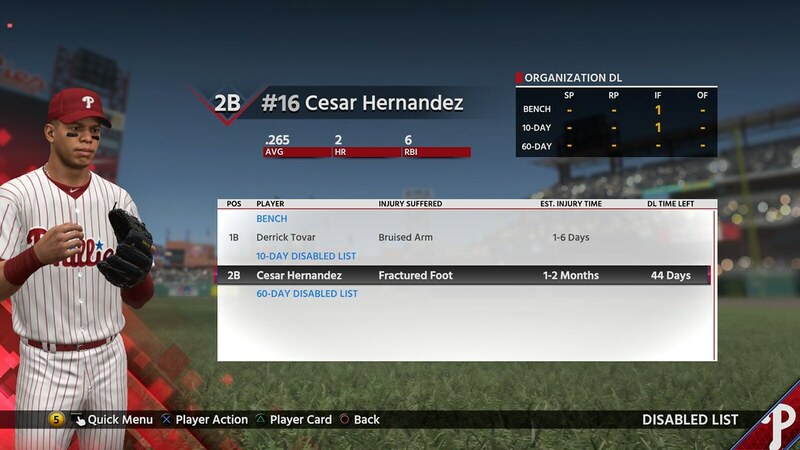 Also I’m I the only one that drafts a 19 year old with a potential of A only to find him in the minors for 7-8 years only to cap out at 78? I know not all prospects mash out but come on, this is the norm not the exception. How about the ability to negotiate and sign a guy to an extension during season to improve his happiness/lock him up before free agency? It would also be nice to see the inclusion of the international players that teams bid on. The competition on bidding for players from Japan, Cuba, etc. would be fantastic! One more thing, a deeper farm system would be great. Having your A ball team play games and drafting more than 7 players for an expanded roster would give the show a much deeper feel. I know these changes probably won’t happen, but a guy can dream. No season mode this year? I’m done. I’m not an online player so the lack,of a season mode (unannounced) will prevent me from buying this game until they restore it. Can someone tell me how to get to the main menu to start a franchise. When I turn the game on it automatically starts a game between the Dodgers and Astros.I’ve played that game to completion a few times but it does not allow me to “end” the game or move on. The only option is to replay the game.